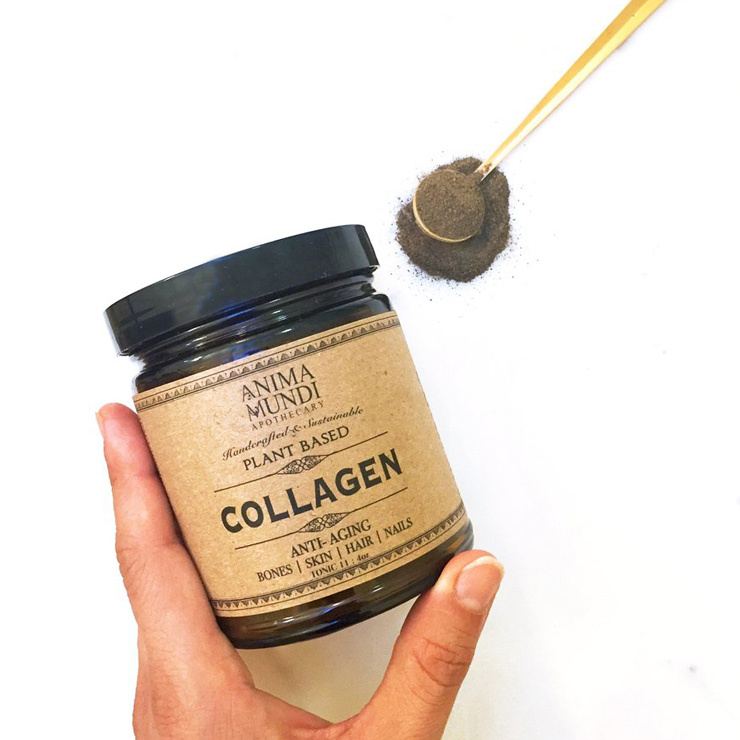 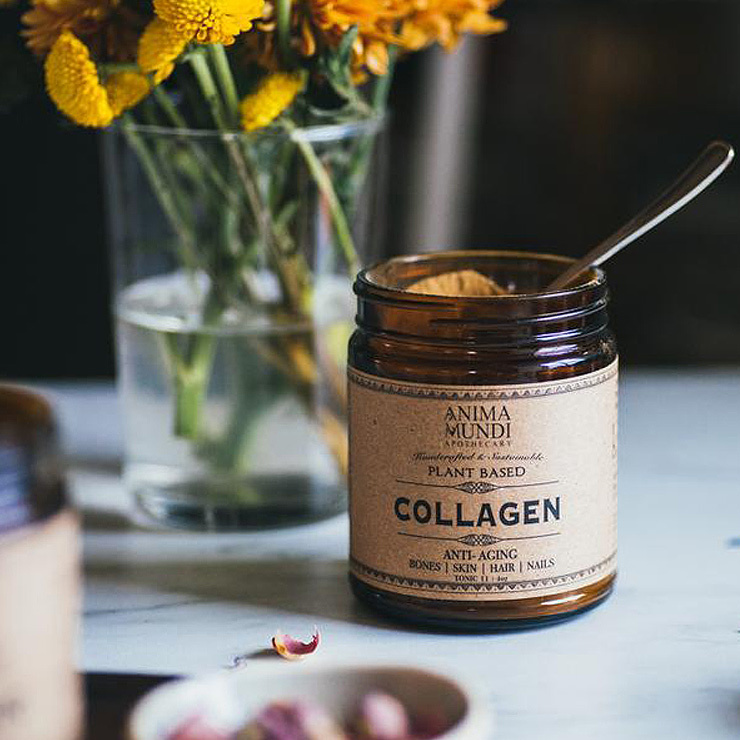 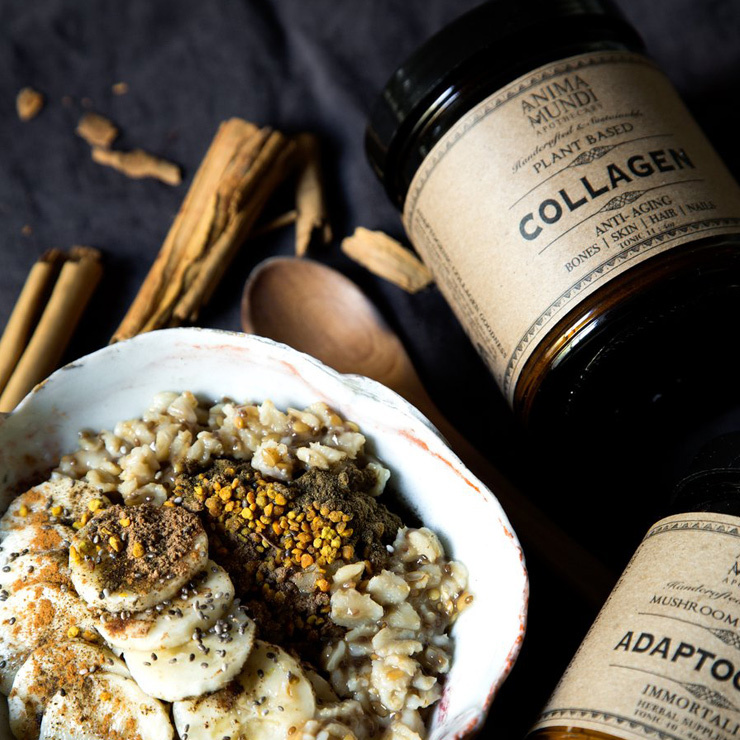 Anima Mundi’s Collagen Boosterworks to beautify skin with its powerful fusion of herbs, flowers, and adaptogens, carefully selected to boost a look of vitality. 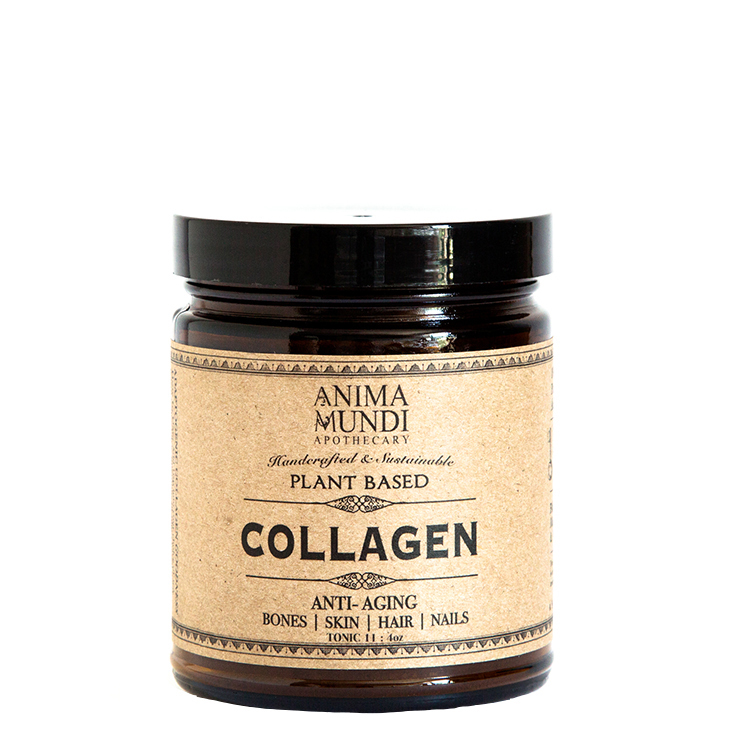 This unique vegan formula is masterfully enhanced with horsetail and nettles, which support a youthful, supple appearance. 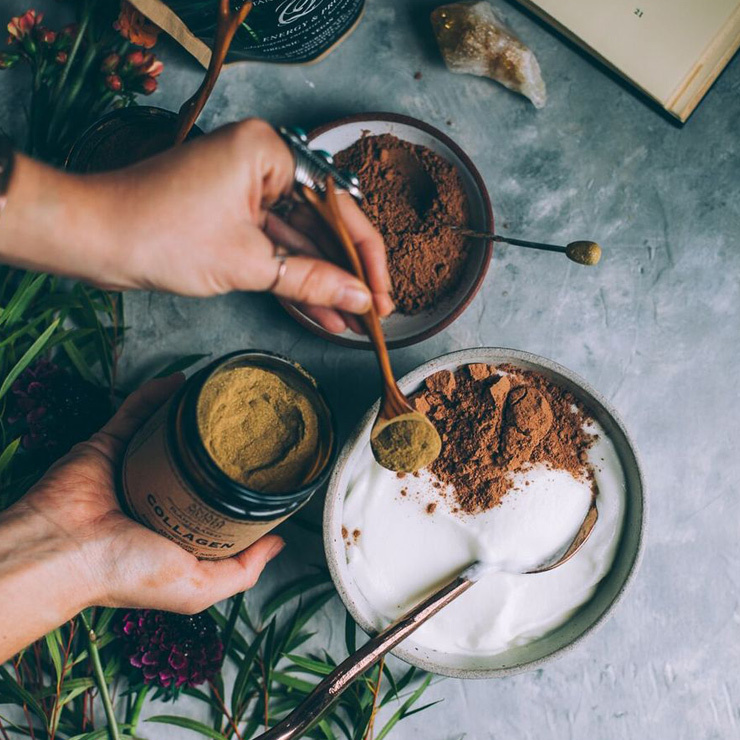 Mix into your favorite drink for a beautifying tonic. 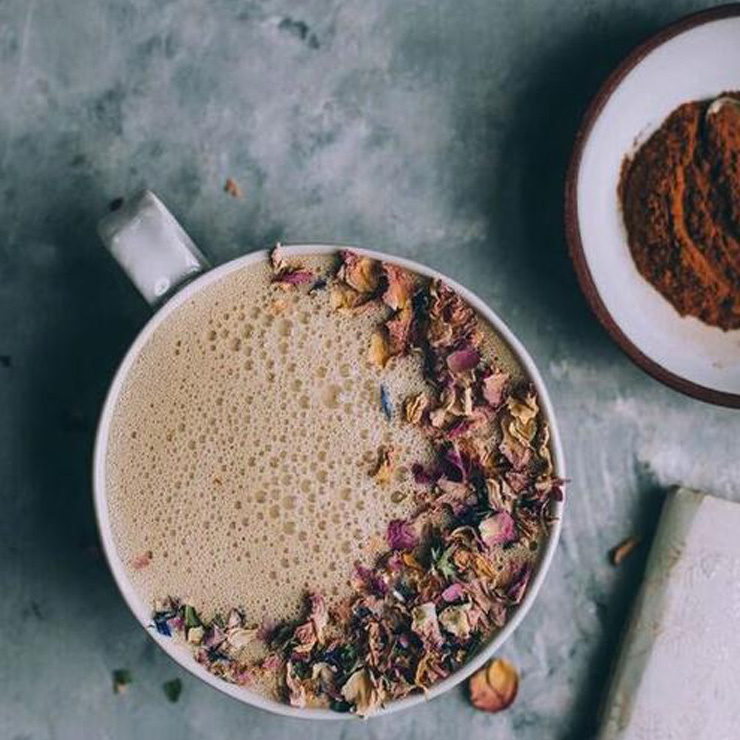 Add 1 tsp twice a day to a beverage of your choosing. 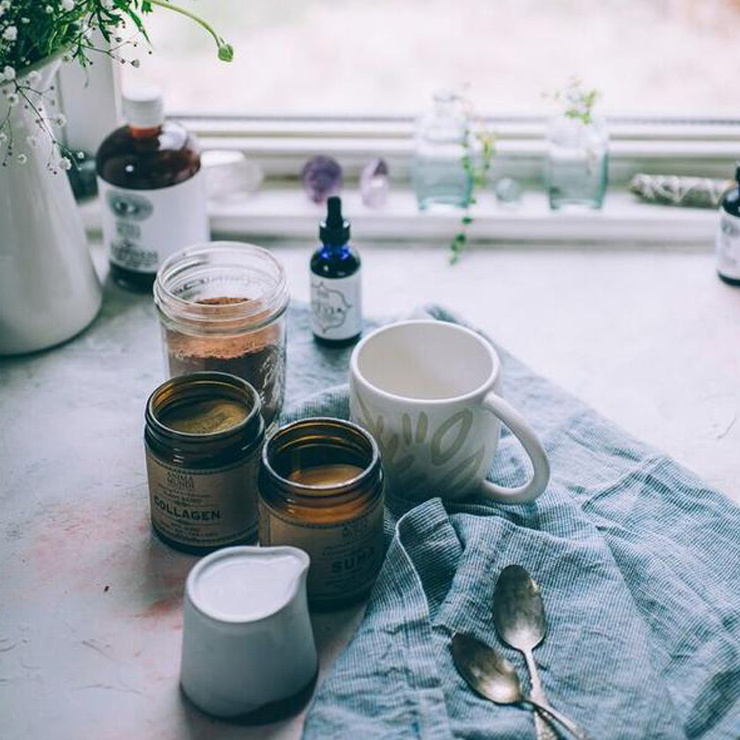 He Shou Wu*, Horsetail**, Gynostemma**, Nettles**, Calendula*, Comfrey*.